The funeral for the oldest person was a 98-year-old woman; the youngest was a 24-year-old man. I attended events for 16 males and 14 females. Twelve of the events were funerals with the body present, 18 were memorial services with cremated remains or no body. Of the places the events were held, 13 were at a house of worship, nine were at a funeral home, and eight were held in other settings, including two at graveside, two in community centers, one at a museum, one at a retreat center, and one at an American Legion hall. Twelve of the events were celebrations of life which had no religious references or some religion but not a religious service. The religious services included Catholic, Methodist, Presbyterian, Baptist, Evangelical, Lutheran, Greek Orthodox, and Latter-Day Saints (Mormon). I missed the one Jewish funeral that took place in town during the 30 Day Challenge because I was speaking to a group on funeral planning for those who don’t plan to die at the same time. The funeral really is for the family and friends closest to the person who died, to offer support to those who grieve. Whether it was a gathering of two dozen people or eight hundred, every event was an opportunity for the community to show their care and express condolences. Funeral favors are a growing trend. In addition to a file of programs, I collected four rubber wrist bands, one bubble blowing vial, a recipe for lemon meringue pie, a DVD of a musical performance, and a prayer of Mother Teresa. “Amazing Grace” and “How Great Thou Art” were popular selections at the religious events. I got pretty good at singing them – not bad for a Jewish girl. The funerals and memorial services covered were picked out of news and classified obituaries that announced the time and date of each event – they were all open to the public. There was one event that I wanted to attend that was held in a private home, but when I called to ask permission to attend and cover, the people there said no. Events were selected based on interesting elements in the obituaries, obtaining a good mix of religions and creative celebrations, trying to keep the male/female ratio even, and whatever event would fit into my schedule that day. While this was a very worthwhile endeavor, I’ll be glad to reclaim the three hours a day it took to attend and write about each event. I’ll continue to read the obits and cover outstanding funerals or memorial services as they arise. One thing is for sure: there is no shortage of people dying every day. Thank you for tuning in, and please keep coming back for other great adventures at The Family Plot Blog! A tour de force, Gail, and a valuable piece of social history. Many features of these funerals indicate that the American Way of Death is in pretty good shape; many features would cross the Atlantic and find much favour over here in the UK. It would be interesting to see the result of a similar exercise over here. One question (for now): how long does an American funeral last — roughly? Thank you for a most absorbing month. You’ve been great. Charles: Thanks for your support across The Pond! Most funerals lasted between 30 to 60 minutes. What’s the average there in the UK? We have an absurd system. Our crematoria are combined ceremony spaces and incinerators. Because 72 per cent of us are burned, it’s a production line. In many crems it’s a 20 min slot you get; in some up to 30 mins. If it’s a big funeral (for someone young or famous) it’ll be a double slot, so something more like an hour. There’s something essentially perfunctory about a Brit funeral. Held in a place which knows nothing about death, away from life (it feels as if the bereaved are quarantined). The alienation effect is so strong that most of the bereaved just grief-walk it; they don’t feel they can participate — and they don’t. Highly unsatisfactory in my view. Some would say I exaggerate. I am disinclined to consider anything but a different way of doing it. Death belongs in life. We have much to learn from you. Erm, “nothing *but* death, I meant to say! 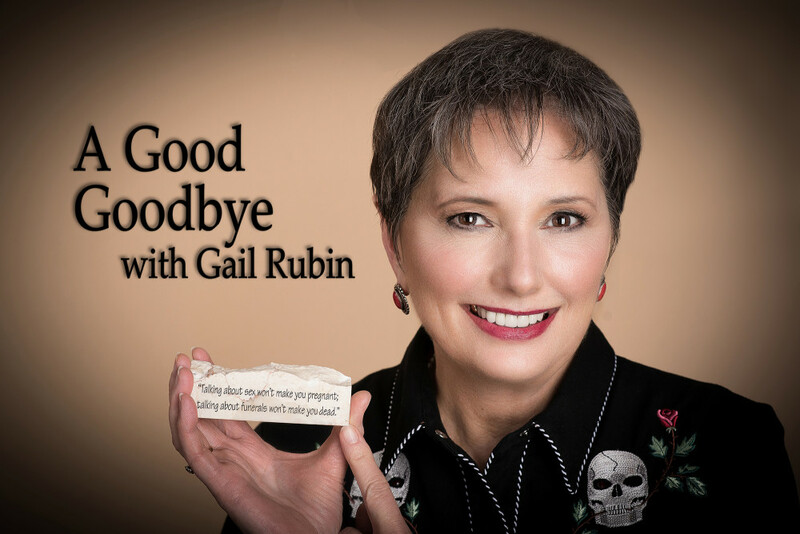 Gail, Thank you so much for attending these services, blogging, videotaping, and sharing with the community at large. A job well done and what an impact. I’ll be following your site, keep up the good work!